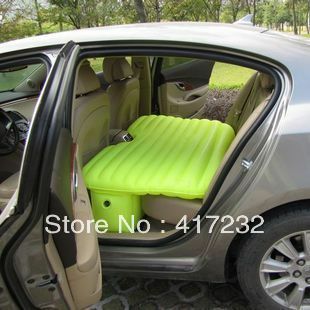 Car Air Bed manufacturers,Car Air Bed exporters,Car Air Bed suppliers,Car Air Bed OEM service. Air bed for car, outdoor used. 1. Air bed features a powerful internal NeverFlat pump that inflates and deflates bed quickly. 2. Sensors monitor air pressure continuously and engage a silent secondary pump as necessary to maintain a consistent firmness. 3.Inflatable air bed has a customizable firmness selection. 4. Raised height makes getting into and out of the twin air bed easier. 7.Side and bottom material: K80 PVC 0.45mm.